In recent years, Berlin has become a burgeoning, colorful and bustling metropolis, with an infectious energy that you can feel the minute you hit the streets. Berlin's slumber-deprived capital is truly living up to its status as the destination to lose yourself in, only to discover something new. Currently, no other city in the world can claim to attract and contain so many creative minds, ideas and sources -- Berlin houses the headquarters of more labels, booking agents and clubs than any other. Many artists call the city home, such as Richie Hawtin, Ellen Allien and the myriad of others traveling the world who bring the "sound of Berlin" wherever they touch down. 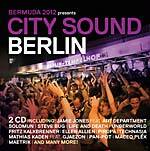 City Sound Berlin is the official festival compilation of Bermuda for the new, formatted Berlin Underground Music Festival. 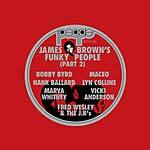 This double CD is a soundtrack representative of the city, whether it be Wednesday evening, Sunday morning or Sunday afternoon. Forward-thinking artists such as Moderat, Oliver Koletzki & Fran, dOP & Wareika and Lusine grace the first CD, appropriately entitled "Day," expressing the sounds that pump through the city's carnival-style raves during breezy summer days. "Night" takes you along for a club-hopping ride through Berlin's biggest, wackiest and naughtiest clubs. With audio contributions from Berlin's first lady Ellen Allien, Stuttgart and Detroit imports Tiefschwarz and Seth Troxler, Loco Dice, Joris Voorn and Booka Shade, this music proves there is life beyond the sun. 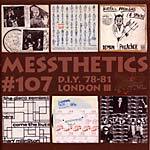 This is a CD that takes you for a ride in Thomas Schumacher's taxi with M.A.N.D.Y. & Siopis in the back seat to a club where you can party with the brothers Kalkbrenner until the sun comes up. 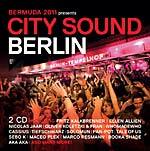 Other artists include: Sascha Funke vs. Nina Kraviz, Stimming, Solomun, Omar, Henrik Schwarz, Cheapers, Marek Hemmann (feat. Fabian Reichelt), Sebo K, Nic Fanciulli, Art Department, Mano Le Tough, Château Flight, Âme, Dixon, Lee Jones, DJ T, Format B, Highgrade Disharmonic Orchestra, Alex Under, Siriusmo, and Niconé & Sascha Braemer.